Editorial Board presents International scientific journal "Economic Cybernetics" and two collections of scientific papers - "Management Models in Market Economy" and "Novelties in Economic Cybernetics". The original articles and reviews, materials of problem and discussion kind, summaries about scientific symposiums, conferences and forums on Economic Cybernetics, bibliographic reviews, critic on monographs and articles, information about latest scientific achievement in the field of Economic Cybernetics are published in the Journal. Subjects of articles: theoretical and methodological problems of economic cybernetics; modeling in micro- and macroeconomic systems; decision-making; models and methods of economic dynamics, stability and equilibrium; methods of the Operation Research and the System Theory; adaptive systems in economics; models of Management and Marketing; educational problems in the field of Economic Cybernetics; econometrics (methods of statistical analysis and forecasting); computer systems and informational technology in economics. Included: DOAJ, EBSCO, CiteFactor, Ulrich's, SHEPRA/Romeo, Worldcat and so on. 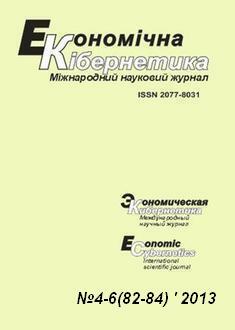 The collection consists articles containing the results of research of professors, researchers and students of higher education and research institutions of Ukraine. The results are intended to address the current economic challenges through the use of economic-mathematical modeling, special methods of decision-making information technologies. Indicies: ICV 2013 = 4.18 New! 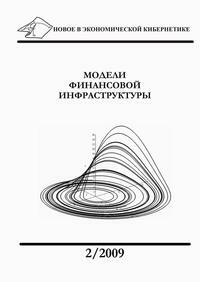 "Novelties in Economic Cybernetics" is a refereed scientific papers collection dedicated to publication of original articles in the fields of economic cybernetics, such as economic and mathematical modeling, operations research, microeconomics, macroeconomics, mathematical programming, statistical analysis, game theory, IT and systems, and other topics from theoretical development to research on applied economic problems. 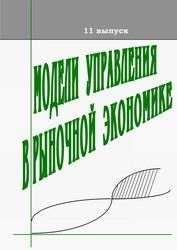 Published by the Institute of Economic Cybernetics of Donetsk National University in Donetsk (Ukraine), it is the leading scientific papers collection in the field of economic modelling from Ukraine.